The Suite uses blockchain technology to decentralize the structure of Bonus cards and is a new generation of blockchain-based loyalty programs. 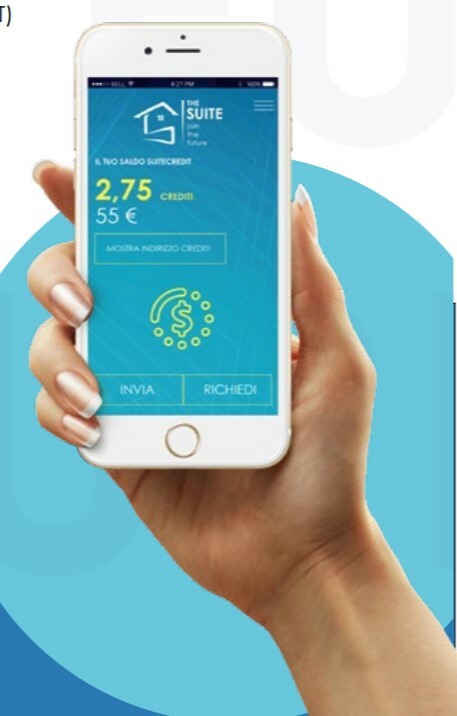 The Suite is a platform through which users can accumulate bonus points on one account, thereby simplifying the process of accumulating these points and there is no need to use a large number of Bonus cards. cards of such basic online services (Amazon, Playstation, etc. ), pay medical bills (national dentists). You can even make a request to exchange points for fiat money and transfer them to your bank account using a bank transfer. The basis of the project as a whole is the FidelitySuite platform. FidelitySuite is a loyalty management platform that allows customers to collect and convert the bonuses of partner companies registered on the platform into various services and money using only SuiteCredits (SCT) and STK token. STK is a platform token with which trading is possible on centralized and decentralized exchanges. SCT or SuiteCredits is the internal currency of the platform with a fixed value. Its functionality includes the exchange, storage and use of points. It is not intended for trading on exchanges. The STK token can be used in conjunction with SuiteCredits if the volume is not enough to cover the cost of services. For example, if the user's SCT balance is less than the required value, the services he wants to receive, then you can spend part of STK to cover the required amount. Monitoring STK / SCT balances and as a means of payment. settlements with the client in SCT. The use of QR codes. The distribution of SCT between the profile audience. Creating directories to generate demand and maximize customer satisfaction. Consider the main functional features of The Suite. The combination of STK and SCT tokens will allow the blockchain-based hybrid system to use the application in the real market. Any user who has a cryptocurrency-based project will be able to integrate their services on the Suite platform. The spread of cryptocurrency will increase day by day. Through the acquisition of infrastructures owned by The Suite, the project will provide strong economic and commercial security and will directly help to use and distribute SCT tokens in the real market. G. Innovations and simplicity of structure. The Suite platform will be filled with innovative services that have never before been offered on the bonus card market. The simplicity of the platform structure will help new users to learn about cryptocurrency. Experienced users will help in the selection of specific services. The initial design phase was fully funded by the founders. Further development of the project will be funded by crowdsale. Initially, you can buy the STK token using the Suite website, and your own account, (or on some crypto-exchange sites). Investments will be made in several stages and will be 3 types of Sale - ranges. FUTURE further services about Blockchain & fidelity cards at partner’s disposal. developer in software companies for 12 years. Users of the major programming languages ​​(Java, Python, PHP, VB, JS, Delphi). For over 19 years in the trading and forex market. Studies in economics and law. For over 20 years auditor of business processes and management control. Simone has been involved in Blockchain field since 2013. He is working for EthBits, creating token models for start-ups and managing various communities. Legal at the Court of Turin, long experience in commercial and civil law. He later developed his great passion for photography and graphics. Graduated at the European Institute of Design in Advertising Communication and specialized at the International School of Comics in Web Design. The attention to detail and the care in all his work are essential and ensure that the communication and ideas created are effective and always center the goal. Microsoft developer and sysadmin for 17 years. Maersk, IBM, Insurance company. I have joined a few strong blockchain teams to learn more about this exciting world. He embodies his most formative experience in the pioneer company of online trading in Italy – Directa Sim. Technical and strategic consultant with elevated experience in the implementation, development and management of blockchain oriented solutions. Despite his young age, he has already had the opportunity to confirm his professionalism by working with prestigious international companies. He Has 3+ years experience in cryptocurrency also managed extremely successful token sales across diverse regions. expert technology adviser for startups mainly in Blockchain and Security areas. I got Master’s degree in MBA with 13+ Years of rich industrial experience. experience includes Linux systems and application programming spanning multiple platforms, network security product development, architectural design, solution frameworks and Blockchain. This concludes the review. In conclusion, I would like to say that such a project has every chance of success in a crypto-community and bring profit to its investors in the near future. The team of professionals, which stands at the origins, a clear development plan, ideology and relevance make The Suite an advanced platform that helps the cryptocurrency sphere to make a breakthrough in the future.